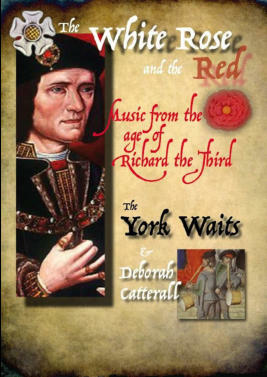 Read the York Press review. Get the pdf User Manual here! The eMelodeon.3 upgrade gives current owners the opportunity to upgrade their instrument to the latest model. The upgrade adds a USB port allowing the eMelodeon to connect to a Windows PC running the new eMelodeon application. 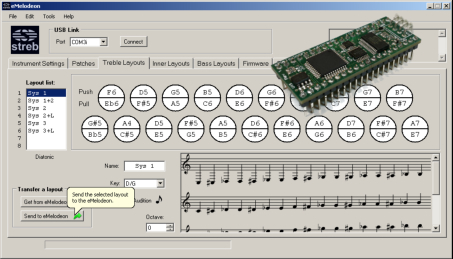 • The application enables loading, saving and editing of the eMelodeon button layouts, patches and instrument settings. • A full set of tools makes the creation of bass layouts easy. • Layouts can be tested by auditioning with the PC MIDI playback. • Layouts, patches and settings can be saved to the PC for backup. • Cost? £200 fully fitted (+ postage). I will also service, clean and test your instrument.